they secured drugs worth $60 billion USD dollars so far this year. 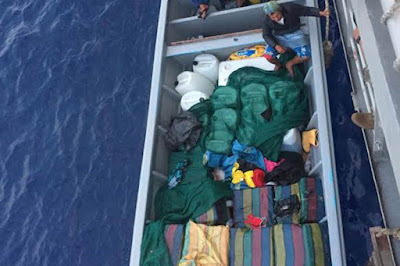 Reports from the Secretariat of the Navy (Semar) indicate that their elements confiscated from these two criminal organizations 104 tons, 450 kilos of various drugs that they stored, manufactured in clandestine laboratories or transported in the high seas along the Pacific route, from South America to Mexico. More than 100 tons of drugs worth almost $60,000,000,000 Billion US dollar have been seized from the Pacific Cartel and Jalisco New Generation cartels , by the Navy's special teams of Mexico so far this year. According to the calculations made by the federal authorities with the destruction of the 90 tons of crystal, "El Mayo" Zambada was stopped from receiving billions of Pesos, a figure so high that with it 10 airports could be built , like the one currently being built in Texcoco, valued at 190,000,000,000 billion Pesos or 10 Mayan trains with a construction value of $8,000,000,000 USD dollars. 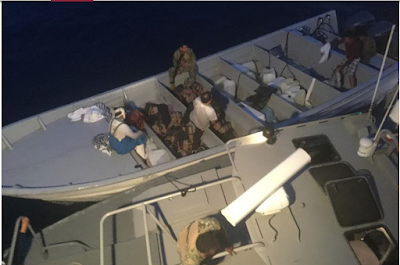 From the split of the Pacific Cartel , headed by Ismael Mario Zambada García, "El Mayo" , Semar seized 90 tons of synthetic drug known as crystal, which has a value of $12,500,000 thousand Pesos per kilo. If we take into account the exchange rate of last Thursday, of 18.82 pesos per dollar, the kilo of this drug would reach a price of $664,187 US dollars, which multiplied by the 90 thousand kilos seized gives a total of $59, 776, 831,000 US dollars. Building the new airport in Texcoco will cost, according to documents delivered by the Airport Group of Mexico City to the next government, 285,000,000,000 billion Pesos, or $15,143,400,000 billion dollars. 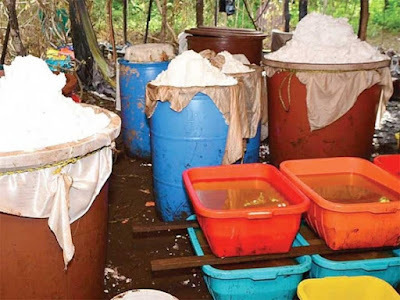 The investigations carried out by the Attorney General's Office (PGR) indicate that the clandestine laboratories of the cartels are capable of producing 100 kilos of crystal daily, and that they employ workers from the communities near where they are installed. The special teams "Shadow" and "Virgo", of the Mexican Navy, work hand in hand with naval intelligence, which managed to locate within the so-called Golden Triangle, in the communities of Alcoyonqui and Los Cedros, in Culiacán and Cosalá, were the "kitchens", ie narco-labortories of "El Mayo" Zambada are located for the manufacture of synthetic drugs. In the community of Alcoyonqui, municipality of Culiacán, Sinaloa, on August 17 they discovered two warehouses underground. After obtaining the coordinates, the special teams moved to the community of Alcoyonqui in the municipality of Culiacán, Sinaloa, on August 17, where they located the two warehouses underground of 10 by 5 meters long, by 4 meters deep and 7 meters deep by 5 meters long by four deep, where they hid about 50 tons of solid and liquid crystal. This action resulted in the operations carried out on August 23 and 26, where 10 and 30 tons, respectively, of synthetic drugs were confiscated; with the seizure and destruction of this narcotic, a major hit to the economic structure of the organization headed by Ismael "El Mayo" Zambada was achieved. The confiscations of synthetic drugs occur, to a lesser extent, in the state of Jalisco, where the Mexican Navy conducts investigations and operations to find the whereabouts of Nemesio Oseguera Cervantes, "El Mencho", leader of the CJNG. During an operation carried out in the community of Tepatitlán de Morelos, in the vicinity of Ojo de Agua de Latillas, Jalisco, a clandestine narco-laboratory was located and dismanteled. 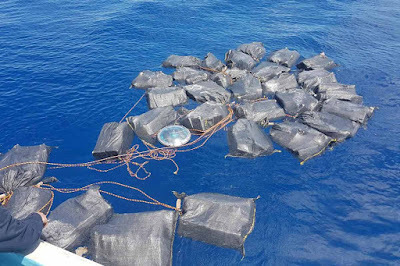 There they found approximately 45 kilograms of drug with the characteristics similar to the crystal, chemical precursors, as well as equipment and material used for the elaboration of said drug. 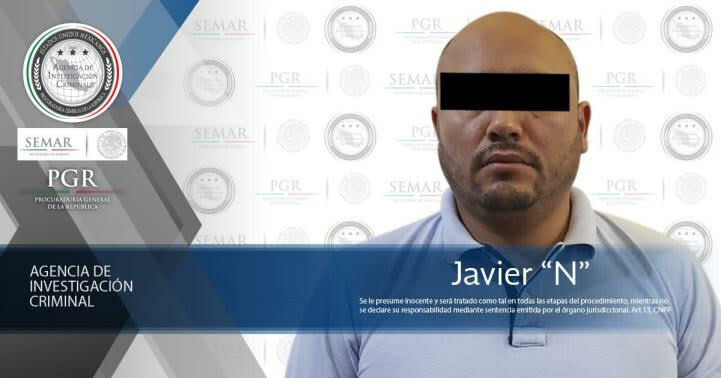 Reports from federal authorities indicate that Javier "El Peque" , detained on May 28, was in charge of coordinating the importation of chemical substances , precursor drugs from China for transfer to the port of Manzanillo, Colima. They were then shipped in drums, inside trailer containers, to warehouses located in the same entity, in addition to Jalisco, Nuevo Leon, San Luis Potosí and Sinaloa, in which the CJNG has its main areas of operation; where the substances were processed to obtain the chemical precursors that are sent to clandestine laboratories to produce synthetic drugs , ie mostly methamphetamines. In the warehouses, the substances were processed to obtain the chemical precursors that are sent to clandestine laboratories to produce synthetic drugs (called methamphetamines ), in accordance with the tasks of intelligence and information exchange. From September 1, 2017 to June 30, 2018, the Mexican Navy executed 11 thousand 358 operations against drug trafficking, in which a monthly average of 2 thousand 885 elements took part, which achieved the assurance of 1 thousand 305.3 kilograms of marijuana and 3 thousand 267.8 kilograms of cocaine. 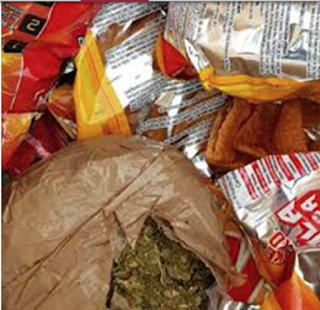 Also confiscated was 6,527 doses of marijuana, with an estimated value in the market of 1.9 million Pesos and more than 9.9 million doses of cocaine, with an approximate value of 776.7 million Pesos. Seized along with drugs and precursor chemicals were: 102 small arms, 158 long weapons, 41 vessels of different types and 245 land vehicles. 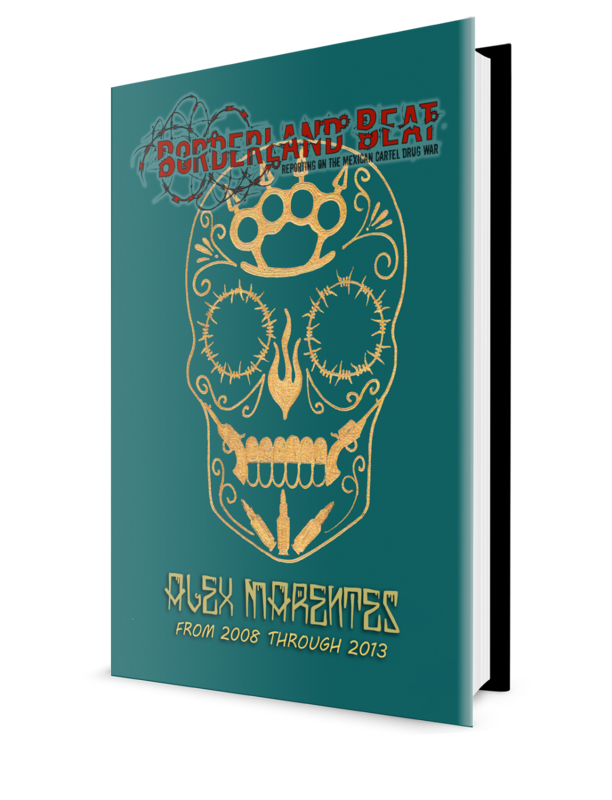 In addition, it apprehended 289 people of Mexican nationality and 29 foreigners who were put at the disposal of the competent authorities as presumed responsible for committing crimes against health. With respect to cocaine, so far this year, Semar has managed to secure 10 tons 20 kilos, mainly on the coasts of Guerrero, Michoacán and Oaxaca. Each kilo of cocaine is quoted at $12, 356 dollars, so the 10,020 kilos seized would have a value of $123,807, 120 dollars. Thus, between cocaine and crystal, the Navy has confiscated the equivalent of $59, 900,637,120 dollars. @4:05 you methheads are always complaining about high prices. YES ! I KNOW and agree.......these numbers are LOCO. However, the point is that it is a huge hit esp for Mayo. Chapo snitched with coordinates in Cosala! Yeah a ball of crystal goes for like 80 bucks out here. I know I ain't the smartest man in the world but from over here. Guy doing the math is on meth . Btw crystal is the easieSt drug to get here in south l.a.
6:38 DMT is a hippy drug. There's no money in that, cartels don't waste their time with psychedelics. 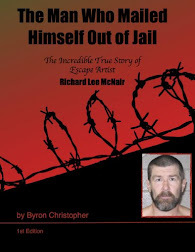 With all those exaggerated numbers for a minute I taught sicario 006 had written the article. I actually think he did. Why would the sellers replace the drugs that were confiscated by the authorities before they received them?...its not on them! Man, you could get a kilo of Meth in Cali for 5,000. The government is always inflating their figures to make the war on drugs look good. You are exaggerating on those prices. A lb goes for about 6k to 8k. A lb is down to 3,000 in Cali. Meth is plentiful right now. A Kilo of Coke is only 12,500 in Mexico? Sheeeessh, must be nice. I’d be rich in 2 weeks. Geeez, here in Detroit, it’s closer to 36,000, from what I’ve read as well. Transportation must be a good business to be in. Okay, let's try the math here. 90 tons of crystal, or 180,000 lbs/2.2l lbs/kilo = 81,818.18 kilos. $1,900,000,000 pesos/81,818.18 kilos = $23,222.22 pesos per kilo. Using the same exchange rate, $23,222.22/18Mx = $1,290.12 USD/kilo, or $586.42/lb. , $36.65/oz. and $1.31 gram. Their numbers are okay on the meth side. $586.42 times 180,000 lbs. = $105,555,600 USD. That's a far cry from $6B. Fact check, the article is wrong as well as 4:05. I think Sicario 006 is also a freelance account. These numbers are beyond ridiculous. The numbers are a mess. They stoped 104tons and a few kilos. But confiscated 90t from each cartel. Can someone tell me wtf is 12,500,000 thousand pesos? I think the math is all wrong or something got lost in the translation. A U.S ton is 2000 lbs. a Billion is 1000 millions. Also lots of confications, but very minimal suspects. The authorities give the suspects a thirty minute headstart to run before they give chase and lose them in the monte. 1049 head start because it's the Cartel they favor. In a few weeks they will return the drugs back in the cover of darkness. Wow 60 billion dollars for 100 tons. Wow that’s like 300,000 a lb. 18,000 an oz. and 600 dollars a gram. At those prices is better to stop doing drugs. What do you expect ? Mexican Govt numbers. Always LOW on the death rates, high on the bust numbers. 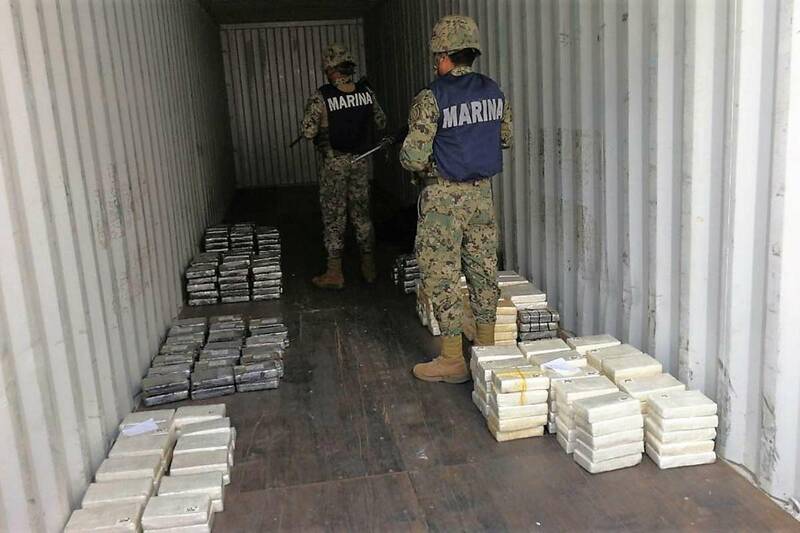 Everybody missed the precursor leaving the port of manzanillo sentense which said Sinaloa was a center of operation for cjng.. that alone discredited this entire article on top of the inflated or exaggerated value of meth in US streets. I don't think so..the kilo if meth is worth 4.000$.in the border and in Houston it's 7.000$ a kilo they lying it's cheap..